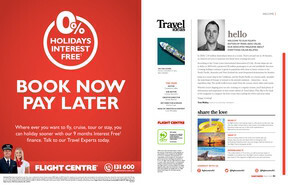 Flight Centre is Australia’s largest retailer of travel. With nearly 700 branded shopfronts throughout Australia, Flight Centre is your one-shop-stop for all your travel needs. 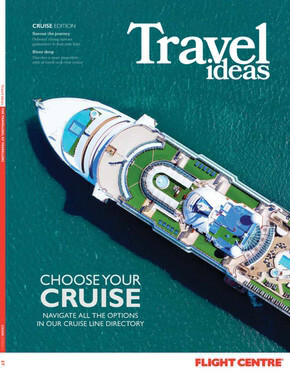 Shop online to browse the latest catalogues and weekly ads for hot deals on flights, holiday packages, car hire, cruises, travel insurance, tours, and accommodation. Keep up to date with everything Flight Centre has to offer in a number of different ways. Follow Flight Centre on twitter, join them on Facebook, check out their Blog, or subscribe to their newsletter via email, and you’ll be the first to now about hot deals, travel tips, holiday ideas, and much more! Shop at Flight Centre and rest assured you’re getting the lowest prices available on airfares. Should you come across a cheaper airfare offered by a competitor, Flight Centre guarantees to beat it on the spot or you’ll fly free! For more information on store locations, trading hours, and to browse the latest flyer, visit the Shopfully website today or download the app.